A British thermal unit (BTU) is defined as the amount of heat required to raise the temperature of 1 pound of water by 1 degree Fahrenheit. To calculate the temperature of a water sample from the BTUs applied to it, you must know the weight of the water and its starting temperature. You can measure the weight of the water using a scale, and the temperature using a Fahrenheit thermometer. Once you have that information, calculating the temperature of the water after applying a known number of BTUs of heat is easy. 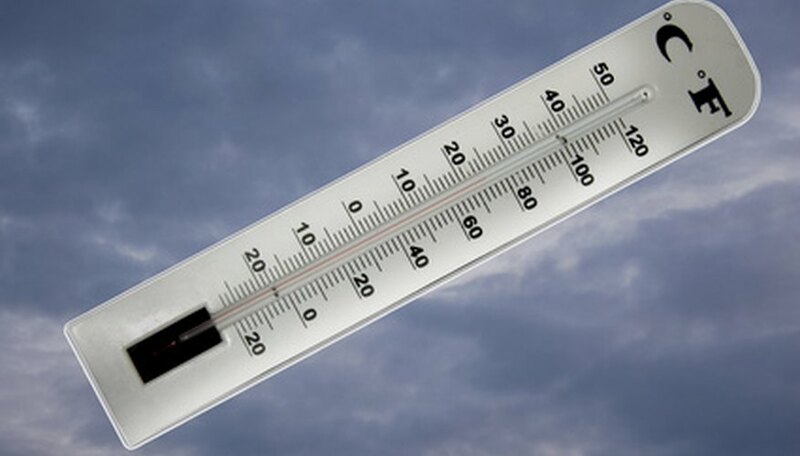 Dip the metal bulb of your thermometer into the water to measure its temperature. Let the bulb sit in the water until the thermometer's internal liquid stops moving. Record the reading where is stops moving. For example, suppose that your water has a temperature of 65 degrees Fahrenheit. Banas, Timothy. "How to Calculate Temperature From BTU." Sciencing, https://sciencing.com/calculate-temperature-btu-6402970.html. 24 April 2017.